Sharon shared a deeply personal story for the second time in her life, recounting the sadness, anger and guilt she had felt after loosing her younger sister to suicide nine years ago. “I said I was fine. For a good five years after I said I was fine. I wasn’t,” Sharon said. “In years gone by, I was too proud to reach out for help, I’m not these days. Sharon talked about automation, globalisation and technical innovation being important, but is talked about more than our people. 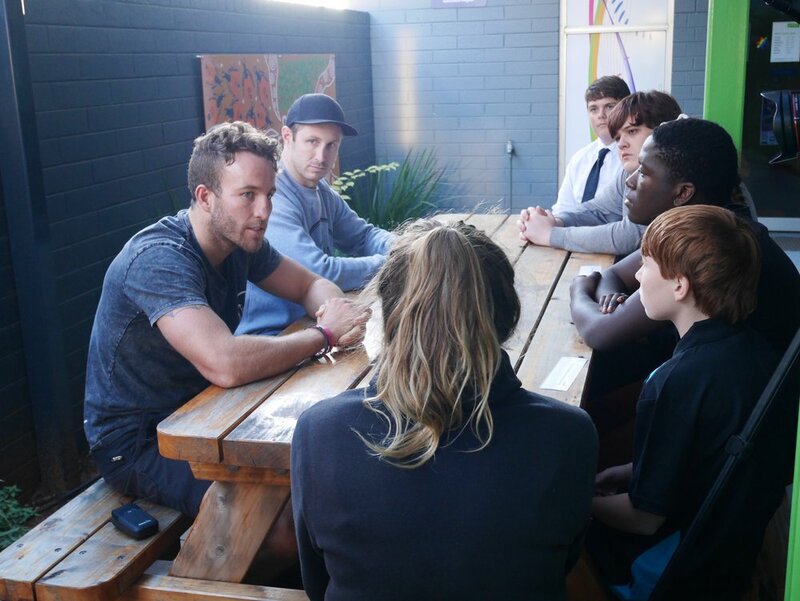 In the wider community, Sharon is actively educating kids about their mental health and wellbeing through the Big Splash project with the Perth Children’s Hospital Foundation. 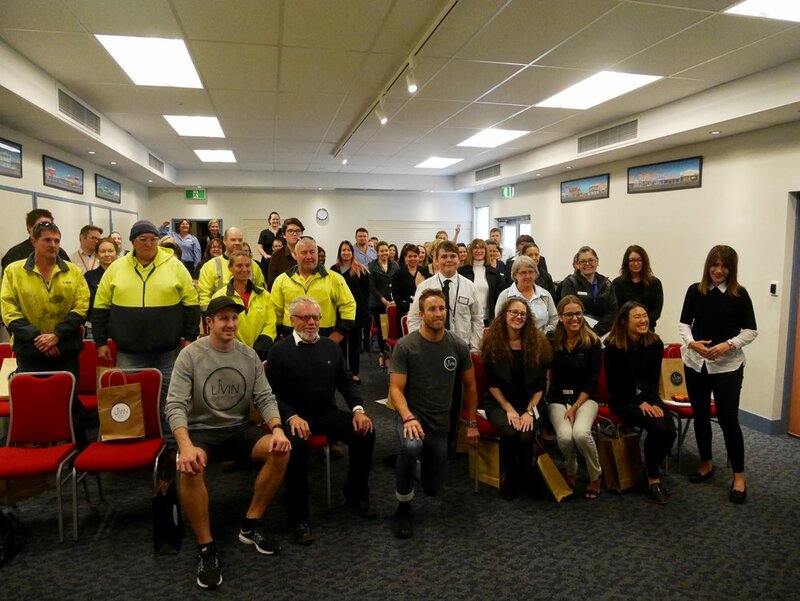 Sharon also supported the Gold Industry Group’s mental health tour with not-for-profit LIVIN this year, to seek to change the way the industry and society understands, perceives and interprets mental health. As a Chairman and Non-Executive Director on eight Boards, Sharon shared her role on Boards in shaping culture and being a role model. “We hear it all the time. We are only as good as our people,” Sharon said. At the recent AICD Annual Essential Director update the number one issue identified for Company Directors for the coming year was corporate culture. “We all have a role in creating, preserving and growing culture, regardless of our job title. “I have been trying to convince board proxy advisors for some five years now the importance of culture and the importance of measuring it. And remunerating success in developing and growing a successful culture. “Culture has and continues to be a fundamental reason for the efficiency success you are all no doubt aware of at Fortescue,” Sharon said. Sharon explained the obvious link between culture, values and financial results before shifting her focus to work life balance. As a mum and a role model, it is a constant focus for Sharon. “To be frank it is not a role I find comfortable. But one I feel we all need to do. “I am told how our emerging leaders, especially emerging female leaders, take inspiration from me. My own level of discomfort ranks lower than the joy I feel when hearing I have inspired,” said Sharon. Sharon encouraged more of her peers to be active role models, to our leaders and miners of tomorrow. As a Non-Executive Director, Sharon’s role is to create, build, grow and preserve company culture. And it’s a full time gig. “It’s an everyday thing. In the board room and outside it. And more outside the board room than in it,” Sharon said. “It’s taking my daughter on the family day experience to Cloudbreak with a plane full of other Fortescue families and wearing my “R u okay” site shirt on the weekends. “It’s about being trained to do safety field leadership interactions and taking time to do them every time I am on site. “It’s about having culture on each strategy workshop agenda and board meeting agenda. “It’s about ensuring culture is measured through all staff surveys regularly and the results actioned. “It’s about hanging out in the site dining rooms, meeting people and asking them what is working, what isn’t and what we can do better. “It’s about tweeting regularly and talking about the constant challenges of work life balance. “It’s about having meetings with the CEO in the in house creche,” Sharon continued. Sharon concluded by reminding everyone they have a role to play in creating, preserving and growing culture.